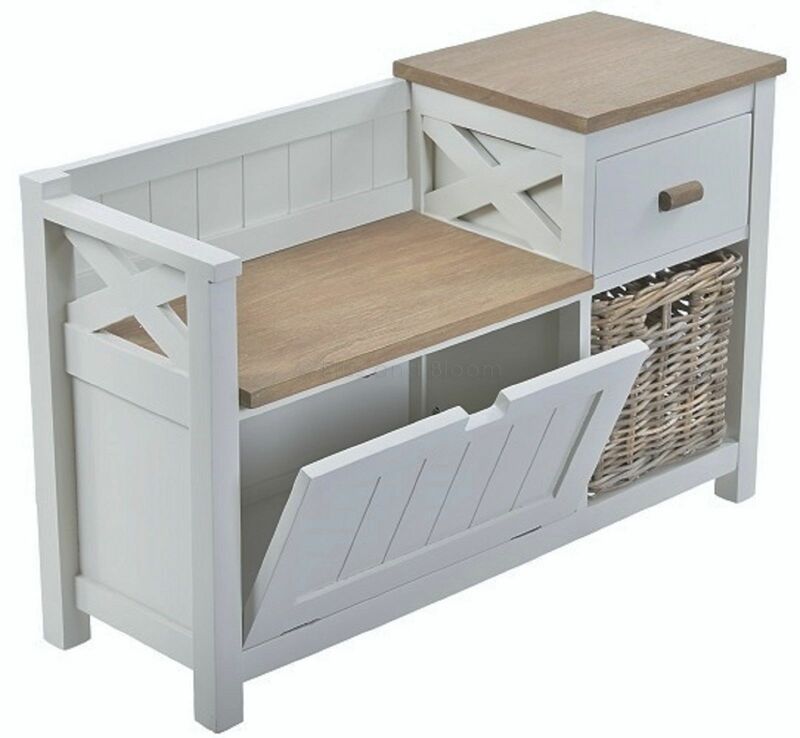 Storage unit seat bench with drawer and basket. Has a rough and rustic finish to the wooden top. Has a wooden frame which is painted grey. The basket has a grey wash finish. Beautiful piece for a hallway entrance, boot room or kitchen. Complete with one willow wicker pull out basket ideal for storage. Has a handy drawer and a storage compartment. Material: Wood and willow basket. I have been looking for a piece of furniture like this for months for my hallway. I have seen it on a couple of other sites but it has always been discontinued or out of stock. 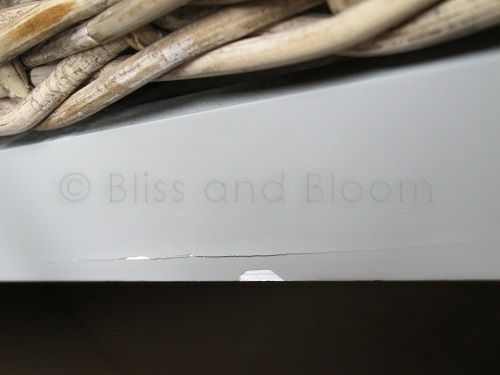 When I found it on the Bliss and Bloom site I was so happy. The furniture arrived less than a week after I'd ordered, which was quicker than expected. The parcel was extremely well packaged. The item came in a box which was then protected with 10! layers of bubble wrap. It it is exactly what I wanted and I'm very happy with my purchase. Just a shame this item is now in the sale only 1 week after mine arrived!